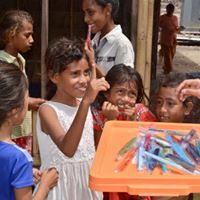 In addition to using the donations you give to meet the immediate needs of the patients right in front of us each day, we also use some of your support to train, employ and equip local Timorese people to develop long term sustainable health services and programs that promote prevention and wellbeing. This adds more value and an important sustainable change. We work in built up areas and we also work in very remote areas. While doctors and specialists are always important, I can tell you that the nurses, midwives, counsellors, team leaders and drivers are all important too as we work to provide a high-quality service that can reach as far and wide as our funds allow. As you probably know, we focus on eight (8) key health areas, working in partnership with the Ministry of Health and others to meet very pressing and very diverse health needs of the Timorese people. To respond properly and meet these diverse needs, the team at MT are using your support to steadily build an expanding health service that operates as a co-ordinated system that can rise to meet the diverse challenges we see every day. Most recently, we have embarked on a project to add local laboratory facilities here that will greatly enhance our diagnosis and disease surveillance capabilities.